What’s Preventing Telemedicine from Taking Off? Health care remains one of the few services that require people to have a face-to-face interaction to obtain access. But more and more consumers are questioning that reality, and change is on the way. In January 2015, the Centers for Medicare & Medicaid Services (CMS) issued a new provider reimbursement code for non–face-to-face health care services for patients who have chronic medical conditions. A new CMS code may seem like a tiny matter, but this one emblemizes a larger shift toward delivering health services independently of time and place, enabled by technologies such as smartphones, sensors, and wireless health-monitoring devices — what we in the field call telemedicine. The concept of telemedicine is not new (its roots go back to the late 1950s). In the 21st century, the widely held goal of improving health care outcomes while lowering costs is accelerating the shift from a one-to-one to a one-to-many model of care delivery, which telemedicine makes possible. Understanding telemedicine has now become crucial for decision makers in the health care industry, and I aim to help in that effort. Let me start by exploring some industry fundamentals. The rising prevalence of chronic illnesses in an aging population puts pressure on the supply side of health care. Clinicians are not being trained fast enough to keep pace with the rate of service demand. In addition, given the rising cost of care, new models for reimbursing hospitals and other providers have begun to emphasize quality and efficiency rather than units of delivered services. And consumers are increasingly shopping on open markets for health insurance policies that require significant deductibles and out-of-pocket expenses. These trends underpin the need for a one-to-many model of care delivery that offers flexibility and transparency. Telemedicine is well positioned in this environment, particularly given patients’ growing comfort with technology in their consumer endeavors. 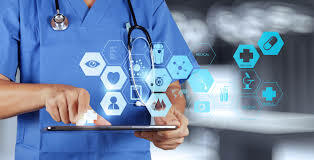 The core technologies of telemedicine include those that collect data (such as wearable and ingestible sensors, and vital-sign and health-status monitoring) and those that enable communication (video conferencing, text messaging, mobile apps, and voice calls). These types of virtualized services will become an integral part of care delivery. Indeed, several commercial payers are now reimbursing providers for video-based visits, not to mention the CMS’s new telemedicine-friendly reimbursement code. 1. When patients with congestive heart failure use a home-based weight scale and a blood pressure cuff, and then check in routinely by phone with a nurse, their survival rates improve, and costs decline. A nurse can care for hundreds of patients at a time in this way, keeping them healthy and happy in their homes and away from costly emergency rooms and hospital beds. 2. For patients with mental illness, video follow-up visits with a mental health provider have been shown to improve quality and efficiency of care. The provider can more easily assess environmental influences on the patient’s condition, and patients more accurately reveal their daily state of being because they don’t always have to endure the stress of traveling to an office and the social anxiety of sitting in a waiting room with other patients. 3. Text-messaging interventions can aid in smoking cessation efforts. My institution is collaborating on a texting intervention for smokers who try “practice quits” (quitting for a short period, such as an hour or a week). Timed text messages help the smoker cope with cravings, encourage longer practice-quit commitments, and applaud successes. The smoker can also text in the word “crave” and receive text-based coaching on the spot. Relatively automated systems like this one have great potential for improving public health. 4. Both Walgreens and CVS offer virtual video care as an extension of their retail clinics. Many health plans, led by UnitedHealth Group, are doing the same. These offerings will push hesitant providers to offer these services as well. Although most young doctors are digitally savvy, they represent a much smaller group than the physicians who were trained in an era when a face-to-face interaction with a patient was the only option. Fee-for service reimbursement, still the dominant payment model in the U.S., is fundamentally at odds with a one-to-many model of care delivery. Some doctors worry that virtual care will mean greater liability, even though most malpractice insurance carriers are telemedicine-friendly and the case law on virtual care is almost nil. State physician licensure laws in the U.S. create false geographic barriers that have impeded some forms of telemedicine. For example, some laws require that a physician be licensed in the state where his or her patient is located. Many health insurers fear that telemedicine will lead to overutilization — such as a doctor looking at an image of a patient’s mole, submitting a bill for the virtual service, and then saying he needs to see the patient in person to be sure. Frequent users of health care services are typically disproportionately less tech-savvyand place great value on their social interactions with their clinicians. Privacy concerns about remotely delivering care persist. Even if all of these obstacles are overcome, face-to-face care visits will not become obsolete, given the complexity of some patients’ clinical profiles and illnesses, especially when a doctor needs to arrive at an initial diagnosis. And some highly sensitive communications (such as news of a newly diagnosed cancer) are obviously best conveyed in person. But for health care interactions that are algorithmic in nature (think: blood pressure checks and acne follow-up visits) or that have a low emotional impact, virtual encounters can be ideal for both parties. Pressure to lower costs also bodes well for innovation in telemedicine’s one-to-many model of care delivery. Early results suggest that new payment models that reward providers for higher quality and efficiency (including virtual care) are working. I am excited about the possibility of automating certain care-delivery processes and using technology to enable patients to obtain better care. The advertising industry now has a model for collecting and analyzing consumers’ digital fingerprints so that ads can be personalized. In a somewhat similar vein, people can now have their walking steps counted, purchasing behavior tracked, and mood and other health indicators monitored to create a highly personalized messaging program that motivates them to improve their health. If we do telemedicine right — with the direct and enthusiastic consent of the patient — I believe that most people will make the privacy tradeoffs. Realizing the potential of telemedicine will indeed require those tradeoffs if we want to improve the current system of health care delivery. This entry was posted in E Patient Health Care, Tele-Medicine and tagged E Patient Heath Care, from Taking Off?, National Telemedicine Foundation, NTF, What’s Preventing Telemedicine by Admin. Bookmark the permalink.